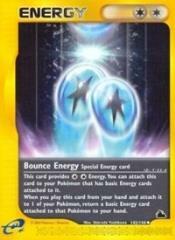 Description: This card provides 2 Colorless Energy. You can attach this card to your Pokemon that has basic Energy cards attached to it. When you play this card from your hand and attach it to 1 of your Pokemon, return a basic Energy card attached to that Pokemon to your hand.